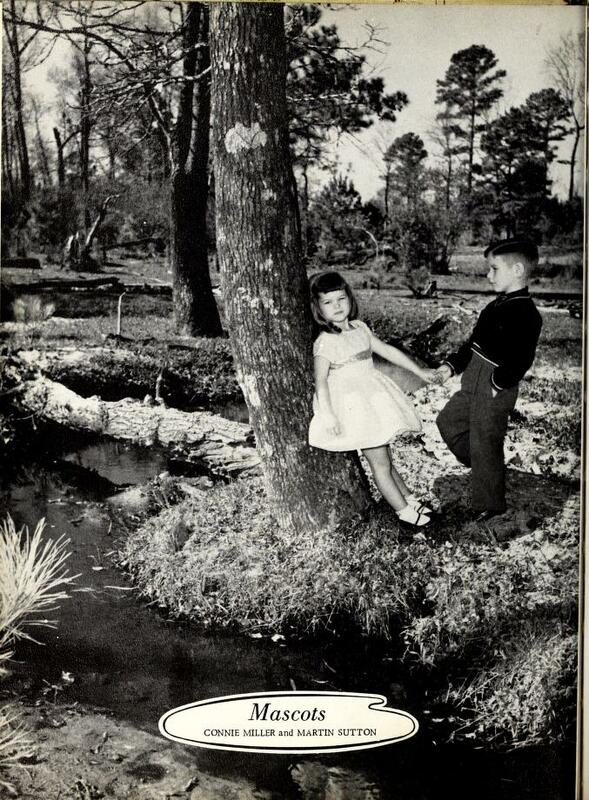 Yearbooks and campus publications from Durham County Library are now available online at DigitalNC.org. The Messenger or Durham Public School Magazine was initially the title of a monthly publication edited by Durham High School students. It contained editorials, essays, fiction and poetry as well as information on class events like Commencement, sporting events, and meetings. 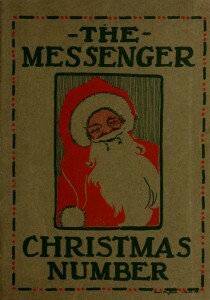 In 1917, it looks like The Messenger became a yearbook as we think of it today. View all of Durham County Library’s items. Western Carolina University is the newest North Carolina institution to join the Digital Public Library of America. North Carolina institutions have now contributed over 170,000 digital items. 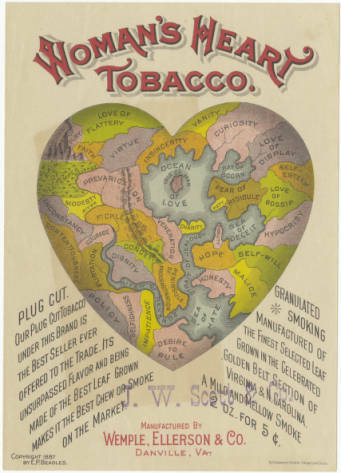 In addition to Western Carolina’s collections, the popular North Carolina Maps collection has been added. The North Carolina Digital Heritage Center is the DPLA’s hub in North Carolina. 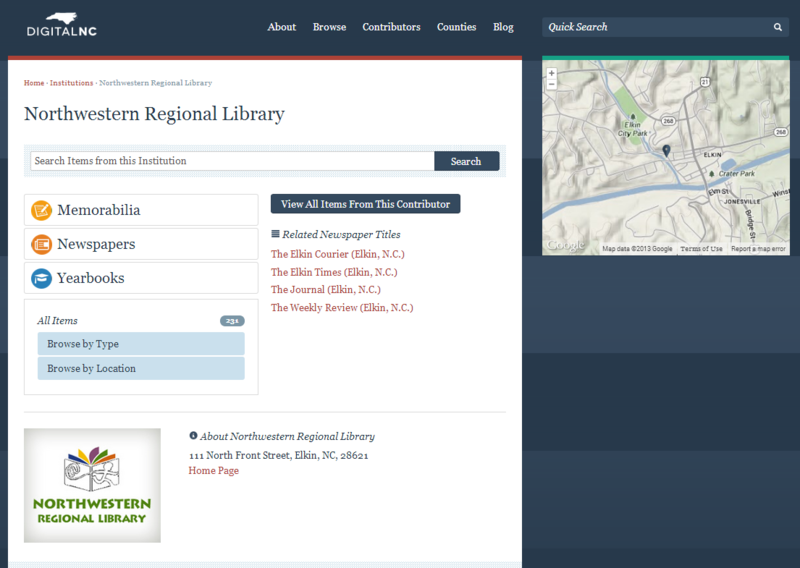 You can read more about the DPLA and North Carolina in an earlier blog post from the official launch, and our website includes participation information. Issues of the Alamance Gleaner, a weekly newspaper from Graham, N.C., are now available in the North Carolina Newspapers collection on DigitalNC. More than 1,100 issues are now freely available to search and browse. The online issues cover the years 1875-1882 and 1911-1926. The Gleaner aimed a broad audience, including not just local news but stories, poetry, and illustrations from state, national, and international events. The issues from the 1910s and 1920s include increasingly elaborate designs and images, reflective of changing technology and taste in the newspaper business. Combined with The Mebane Leader, covering some of the same years, researchers interested in Alamance County history and people in the early 20th century will find terrific resources on DigitalNC. The Gleaner was nominated for digitization by Alamance County Public Libraries. While we typically associate a school mascot with a large, costumed character or animal, young children also served as mascots in many North Carolina High Schools and Colleges. 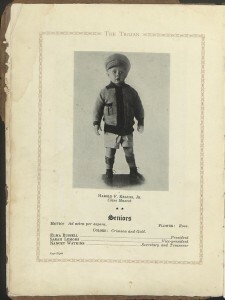 Several examples can be found in the digitized yearbooks from the Wayne County Public Library which are now available at DigitalNC.org. This Flickr set shows other young mascots in yearbooks from across North Carolina. Other than a name and an adorable picture, none of the yearbooks give much information about the children, how they were chosen, or what duties came with being a mascot. Officially, a mascot is any person, item, or animal thought to bring luck so hopefully these young children brought good fortune to their schools. Photographs of Rockingham County residents and visitors, including portraits of Rev. Fenner S. Stickney and the brothers Samuel Hill and John Hill Boyd as well as the Gentry Brothers Dog and Pony Show parade (pictured above). Photographs depicting residents, workers, historical sites, and the mill in and around Avalon, N.C.
More than 500 issues of The Elkin Tribune, a weekly paper published in “The Best Little Town in North Carolina” (according to the paper) are now available online in the North Carolina Newspapers collection. 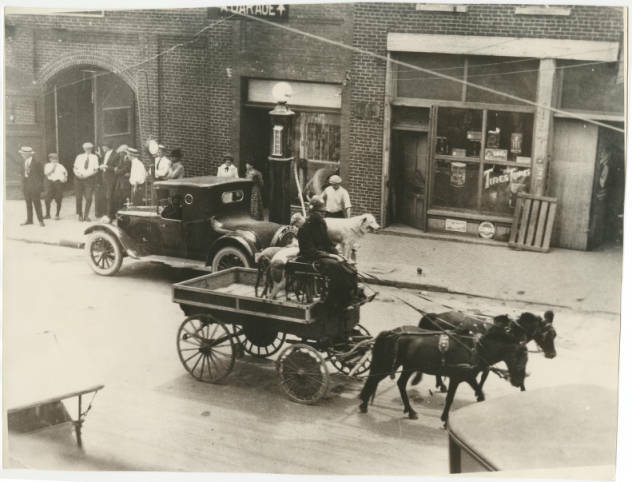 We have digitized the years 1930 to 1940 from the microfilm, along with a few stray original copies, at the suggestion of the Elkin Public Library. The newspaper is a terrific source of local news and commentary, along with some coverage of national events. The Tribune was an ardent booster of local businesses, frequently encouraging its readers to spend their money in town. The holiday shopping issues published each December are especially interesting (see examples from 1935, 1936, and 1937). 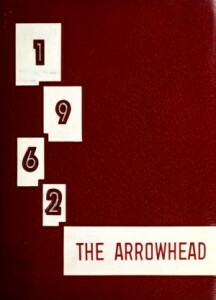 Yearbook cover of the 1962 Arrowhead, from Old Fort High School. Yearbooks contributed by the McDowell County Public Library have just been added to DigitalNC.org. 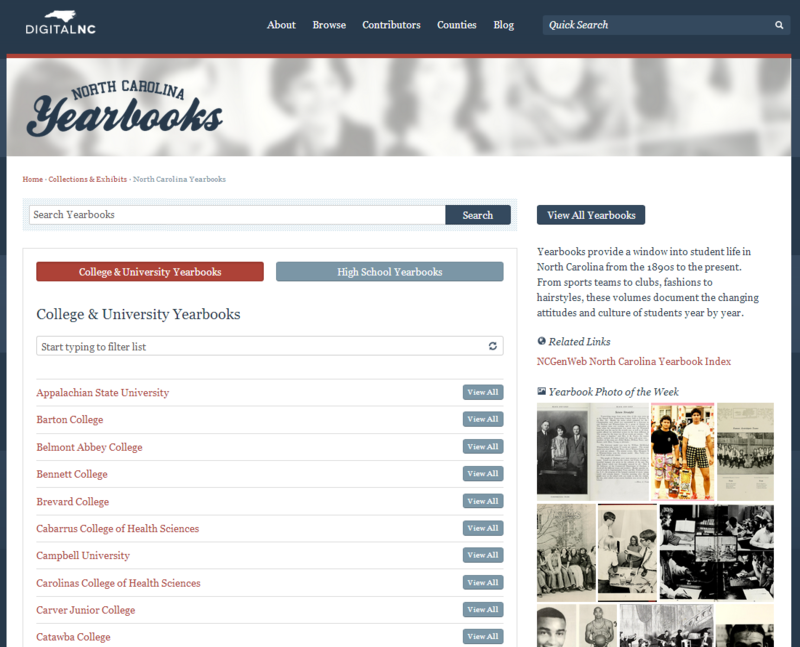 You can view all of the yearbooks from McDowell County here. Here on our blog, we’ll occasionally be featuring “matchups” that showcase relationships between different items in our collection. Today’s matchup? An image from the Tufts Archives in Pinehurst and newspapers from the Southern Pines Public Library. It’s probably easy to understand why this photo caught our eye. 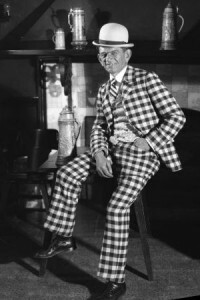 From the Tufts Archives of Pinehurst, NC, it’s of Sam Lacks in 1928. Who was Mr. Lacks? Mr. 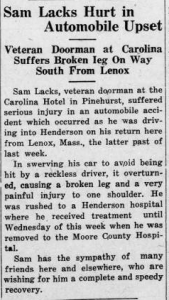 Lacks was the “genial” “veteran doorman” of the Carolina Hotel (now part of the Pinehurst Resort). He and his wife, known only as “Mrs. Lacks,” had at least two children: Stanley and Leonard. In 1932, Mrs. Lacks was grade mother for the 11th grade and Leonard Lacks was a junior at UNC Chapel Hill. The family summered in New Hampshire. 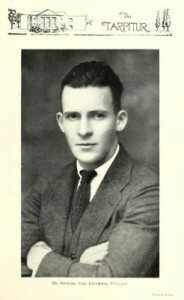 Both Stanley and Leonard attended Duke University. The family had connections with Massachusetts, especially Boston, and traveled there frequently. They lived in Marlboro Apartments in Pinehurst. The last reference we could find, in 1941, mentions Mr. and Mrs. Lacks, their son Stanley, and Stanley’s new bride – all returning from a trip to Massachusetts. If Mr. Lacks was as popular as the newspaper suggests, he may still be well remembered around Pinehurst. From the 1924 Goldsboro High School Yearbook, Page 12. 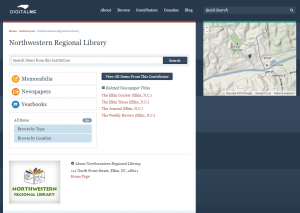 New materials digitized for the Wayne County Public Library are now available on DigitalNC. A list of the new items is below, and includes yearbooks from Wayne County schools, the Goldsboro High School Newspaper, and more. You can view all materials digitized for the Wayne County Public Library here. 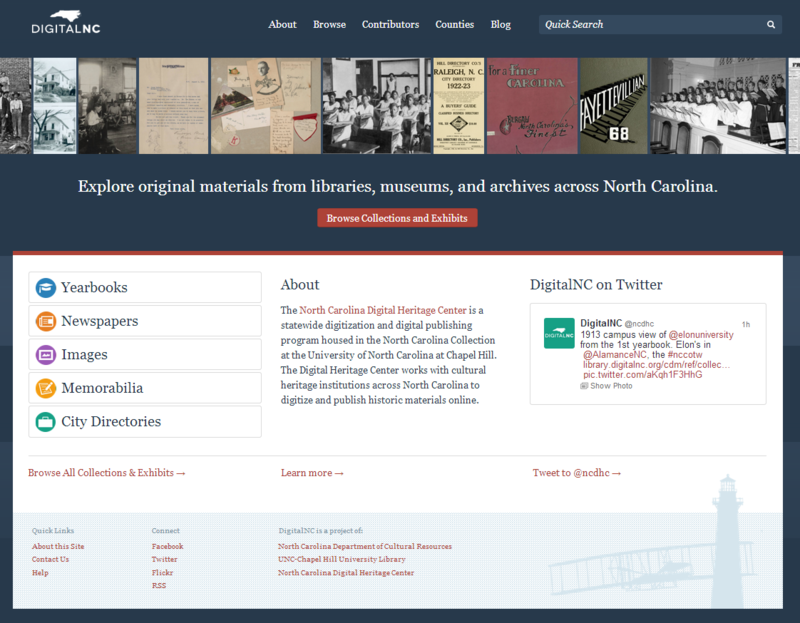 Next week we’ll be launching a redesigned DigitalNC.org. You’ll be able to do everything you can on the current site, with the same great content. The new site has an updated look and some new browsing options, and the “front pages” are also mobile friendly. Take a look and let us know what you think by leaving a comment or emailing us at digitalnc@unc.edu. The front page of the new site. 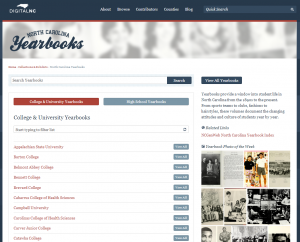 The North Carolina Yearbooks home page. The landing page for partner institutions.